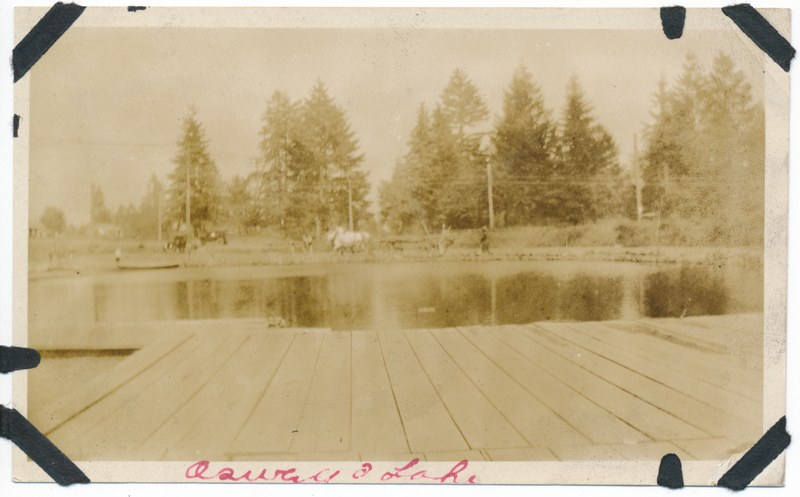 Description View of Oswego Lake with horse and cart team in the background. A dock is seen in the foreground. Photo is from Smoke Family collection and were donated to OHC by Claire Calcagno.